I am bored as usual. So let me draw stuff for you. 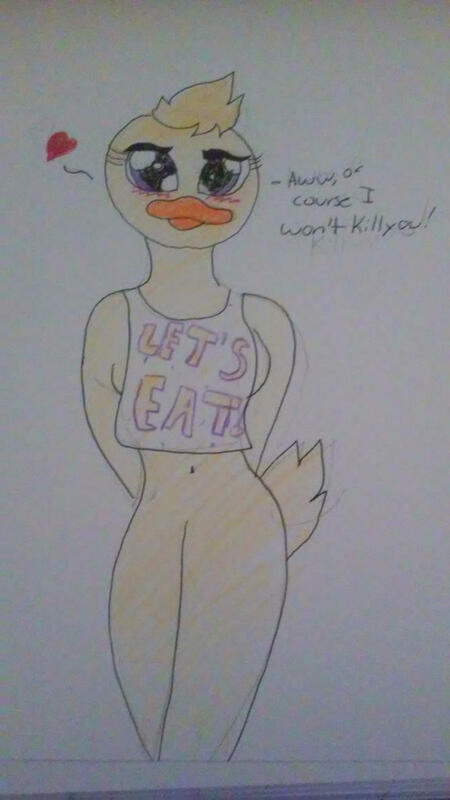 If you give me something other to draw that isn't on that list, thank you. I need to get out of my comfort zone and learn to draw other things. I am willing to do multiple pictures for one person. If you only ask me for one pic, I may end up doing more. Especially if I feel bad about one not looking good. Oh and also, you have a couple choices. I can just give you a pencil drawing, or I can colour it and give it outlines. There is also the option of a drawing in black pen that has no colour. 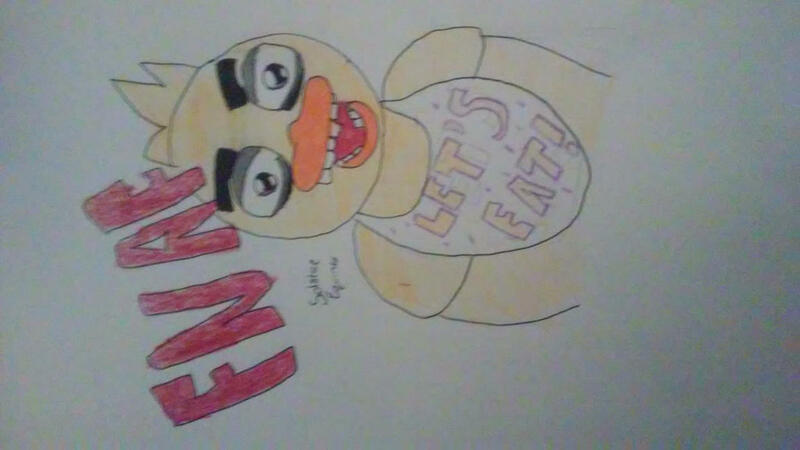 I wasn't sure who you wanted, so I did Chica. I can do Freddy, Bonnie, Foxy or anything from FNAF2 if you don't like her. Oh dear LORD that is good! That is awesome! Very accurate indeed. @Akr: Here you are! I will also work on a Bonnie and a cute pic of Foxy. 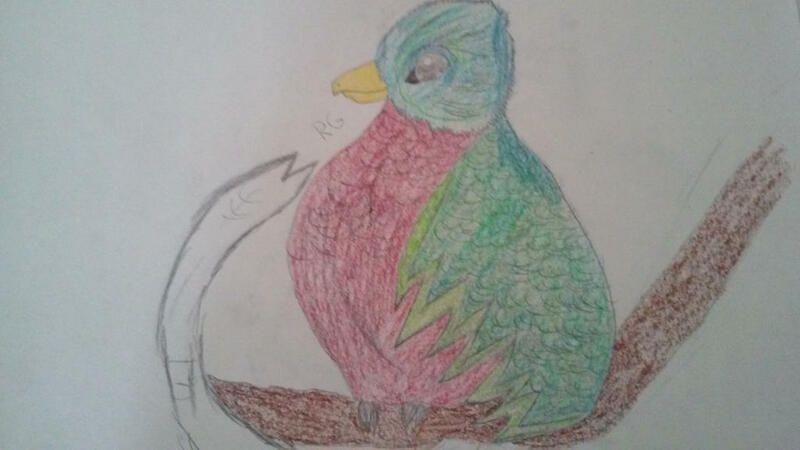 @Scourge: Wow, really beautiful bird. Right on it! can you draw a human form of Gojira? Maybe him fighting someone or what ever you want. 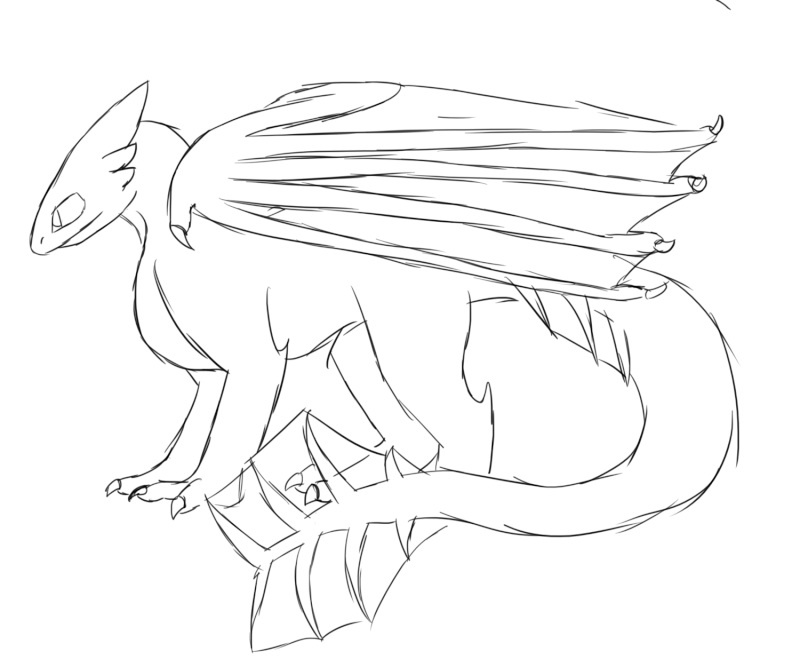 Question, question, can you draw chibi my dragon,here it comes, AS A CHIBI! That would be so cute! I don't mind if you have to look at some pics of chibi before you get the hang just try! @Frost: Working on it! Can you PM me a pic of Chibi? 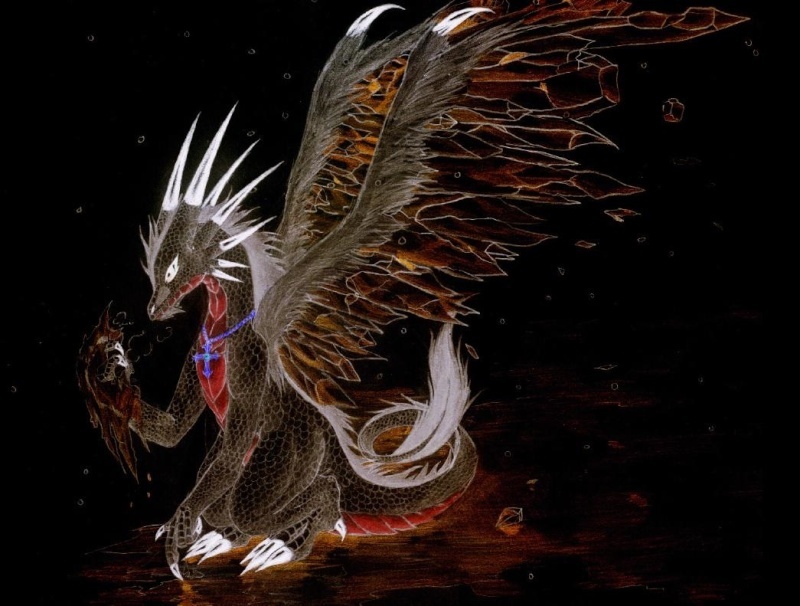 Could you redraw my cosmic dragon? I just need his armor removed from his neck, shoulder, and legs. Yes, I know the name Astral is takened on this site. I plan to use him the future as a hatchling with no parents.